Well I found a refuse transfer station in Green Bay to dump off my shredded tarp at. I couldn't think of any other way of getting rid of it. I think next time I will buy 4 smaller tarps and lash them down a bit better. 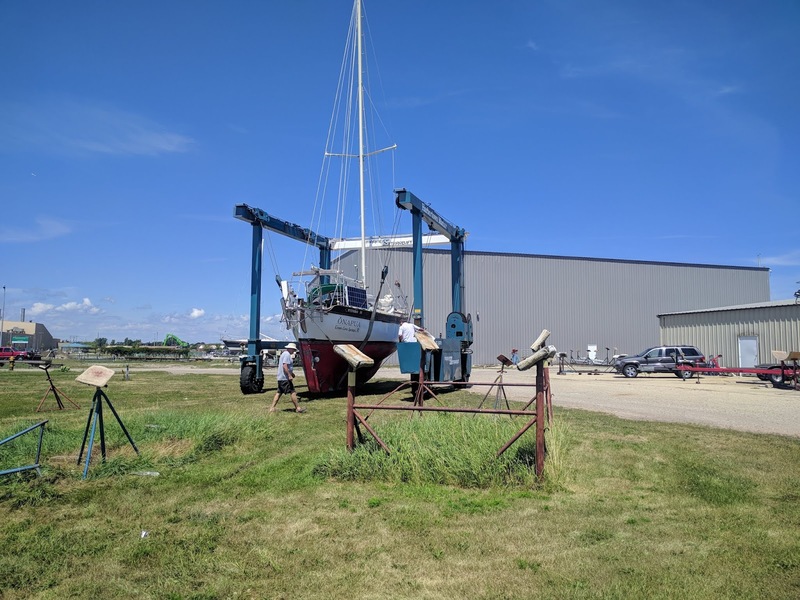 The yard here at Marinette did a great job of looking after my boat and splashing her. It was totally scary jumping back into the boat and out into Lake Michigan. There was a stiff 20 knot southerly blowing with a steep chop. 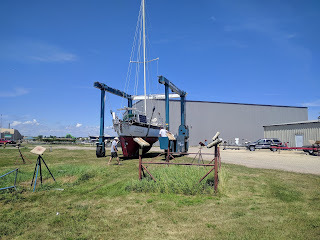 What if one of my through hulls failed? What if the engine stopped? What if I grounded? 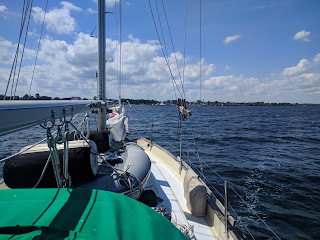 As it was I broke my rule about not getting on my bowsprit without wearing a life jacket. I would freeze if I ended up in this water here, summer or no summer. It is supposed to be raining tomorrow but I am itching to leave.